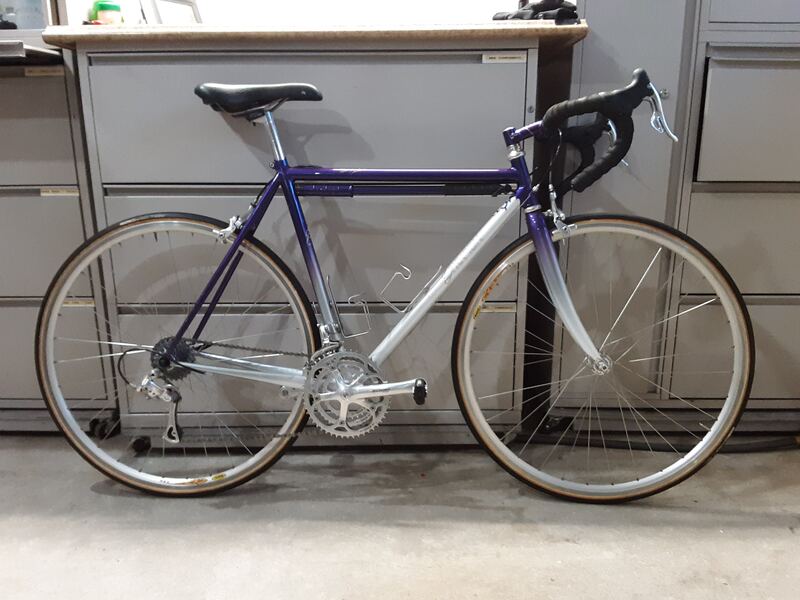 As mentioned in two recent blog entries, as I was putting my ’99 Erickson Signature single road bike back into service I discovered that I’d need to raise the handlebars as my riding position has gotten a bit more relaxed over the past 19 years. Given the Erickson has a 1″ AME Alpha Q threadless fork that was custom painted to match the frame, doing a fork swap was not feasible. I also looked at stem risers, but they just seemed a bit too klugey once you had the riser + a stem bolted-on. As I did my research I came across an 80mm tall Soma Crane stem with an 80mm reach & 17° rise. These are made by Nitto for Soma, but are only offered in a 1.125″ steerer size. However, I assumed that like most 1.125″ stems, this combination riser/stem would also work just fine with the same type of spacer used to allow the installation of 1.125″ theadless stems on 1″ fork steerers. So, that was my plan. My only real moment for pause came on the stem length. My current stem was an 80mm reach model, but with the stem height being raised a full inch, I wondered if I might not need the extra 20mm of reach. 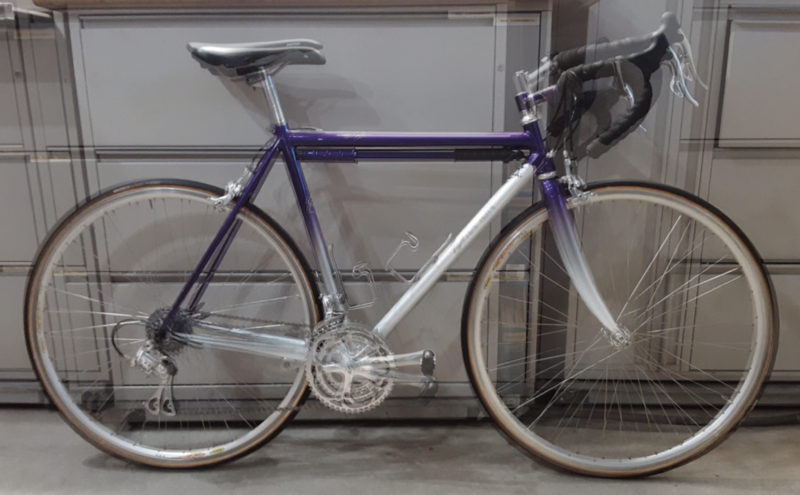 I opted to go with the 80mm length and will keep my fingers crossed that it will net out to be “close enough” to the 50cm of reach that I have on my other bikes. Again, the most important change will be raising the handlebars ~40mm to achieve a 35mm bar drop from the top of the saddle, again… on par with my other bikes. Well, the stem arrived today. Sadly, it did not come with a stem cap or the M5 x 60mm preload bolt needed that runs through the stem cap to the star nut in the fork. 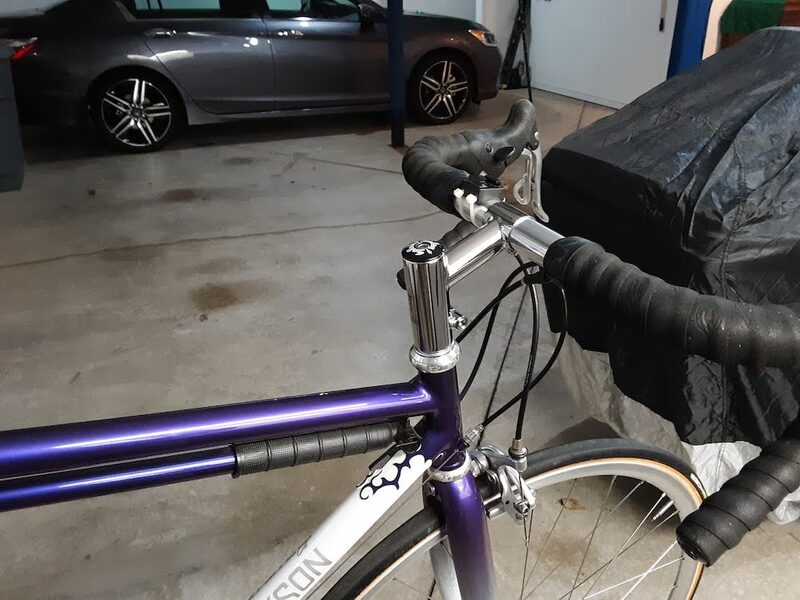 However, in addition to having the spacers I needed to install the 1.125″ stem on my 1″ steerer tube, I also had several spare aftermarket 1.125″ stem caps and four M5 x 60mm bolts. The bolts are from two spare OEM Calfee eccentric’s for our Calfee tandem which were replaced by a daVinci eccentric. Having those long M5 bolts saved me from making a trip over to Ace hardware, about the only place I know of that has every bolt available ‘ala carte’ vs. having to buy more than I’d ever need at Threads for the South, an industrial fastener supply house. The transfer of stems didn’t take long as I already had the left-hand side of the bar tape removed from the Erickson. However, as part of the stem installation I did end up having to change out both the left-hand brake and shifter housing and cables to allow for a longer cable housing run. For some reason, the right side was just fine: go figure. 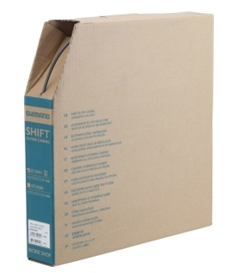 Fortunately, the UPS guy dropped off two boxes of Shimano bicycle brake and shifter cable housing on Monday, as I had used up pretty much every other spare length of cable housing two weeks ago. So, I had 130′ of brake housing and 160′ of shifter cable housing on hand which should last me for several years, perhaps a decade of bicycle maintenance. On average, a tandem or bicycle use perhaps 5′ to 6′ of each type of housing per replacement so even I can do that math: 20+ rebuilds, or about $7.00 per rebuild, half of what it costs to buy it by the foot or in “kits”. Anyway, below are the before and after photos. As for accomplishing what I’d hoped, the bars were indeed raised 40mm and are now 35mm below the top of the saddle, right where I want them. However, I did lose 20mm in bar reach with the 80mm stem. As for the overall impression of the stem and installation, I think I like it much more than the alternatives. The 80mm stem essentially incorporates a 40mm riser but in a seamless looking package, with an integrated neck. The fixing bolt is on the front of the stem, which is a bit unusual. I’ve only see this on one of the other risers sold under a couple different brand names. Again, it’s a clean-looking stem and the use of the spacer doesn’t seem to compromise the integrity of the chromoly stem in any way. 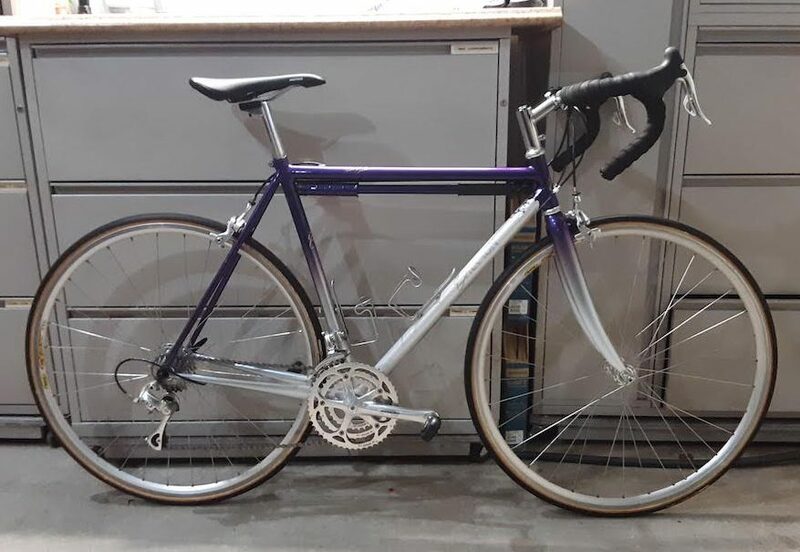 I’m going to double check my saddle set-back to see if there might be a little room for adjustment there to add-back the 20mm I lost by not using the 100mm length stem, but will otherwise just ride it this way to see how it feels. Anyhow, here’s how the Erickson looked as originally configured in 1999 (at left) and now with the Soma stem (at right). And yes, the Erickson is also sporting the new Bontrager Montrose Comp saddle. Now, if the rain would just stop long enough to allow for a ride! As a final image for comparison, below is an overlay of the before and after photos that shows the increase in bar height achieved by changing the stem. 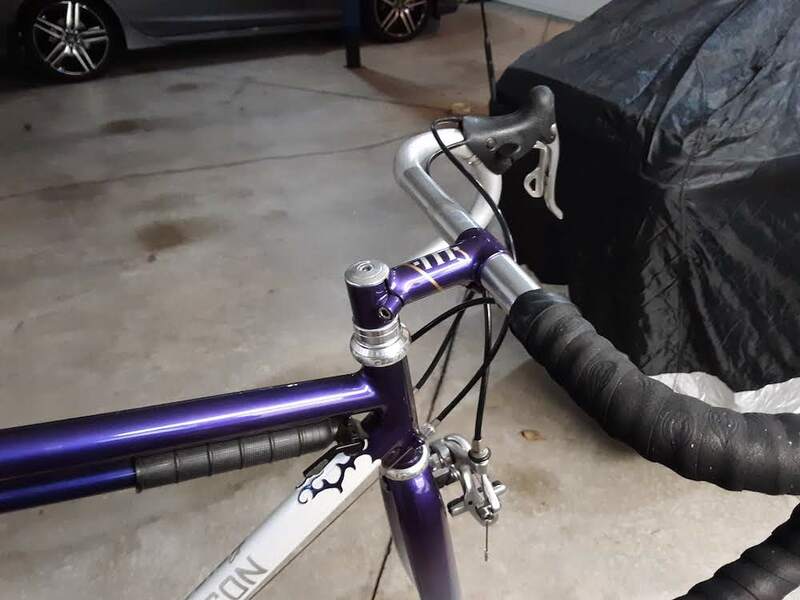 Note that the shifter position in the after image appears to put the bars a bit further out… that’s just an optical illusion created by the bars being turned slightly to the left in the current photo. And yes, I’ve adjusted the nose height of the saddle to be up a bit higher, consistent with the tandem and the other single bikes now that the bar height is corrected.